Voltino is located at 559 meters above sea level, on the provincial road that connects Limone to San Bartolomeo, and it is one of the oldest villages in the Municipality of Tremosine sul Garda. Its name probably derives from the typical "volti" (faces) found in the streets of the beautiful historical center. The first settlement found in what nowadays is the village of Voltino are pre-Roman - materials related to an Iron Age settlement were found near the village. During the last century, a Roman tablet from the first century AD was found in Mure, walled in the bell tower, with two lines written in an alphabet that could be Etruscan or Rhaetian, showing that this small village was already inhabited before the time of the ancient Romans. Nowadays you can also visit a memorial and a fresco dedicated to the Virgin Mary, Queen of Peace. The church of Voltino is dedicated to San Lorenzo. A chapel already existed in 1017, and over the centuries it underwent numerous restorations and extensions. Between Voltino and Ustecchio, in the Pozza area between Via Erti and Via Etruschi, there is a decorated wayside shrine with a fresco dating back to 1668, dedicated to Our Lady, protector of sinners. Although the fresco is no longer in perfect condition, the Caravaggio Madonna is still visible. 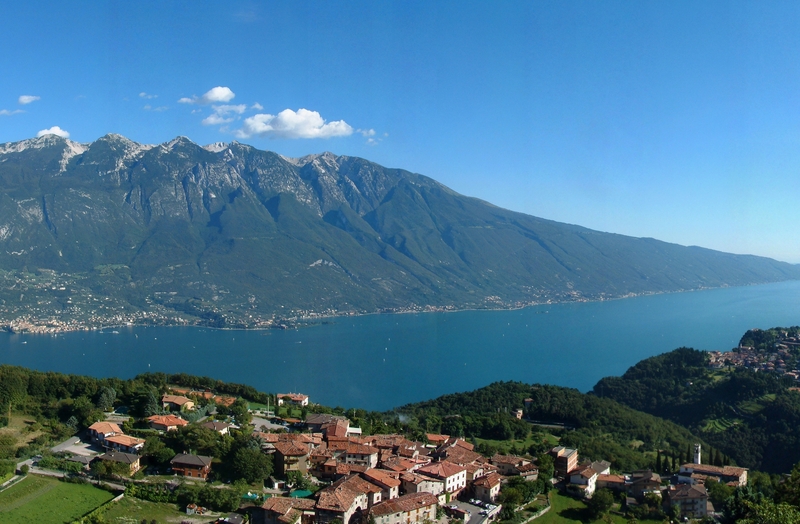 The village offers visitors a breathtaking view of Monte Baldo and Lake Garda, and it has many small shops and local restaurants. To the east of Voltino there’s a hill with villas, where the municipal road makes a wide bend heading from Voltino to Campi. The patron saint’s day in Voltino is celebrated on August 10th.